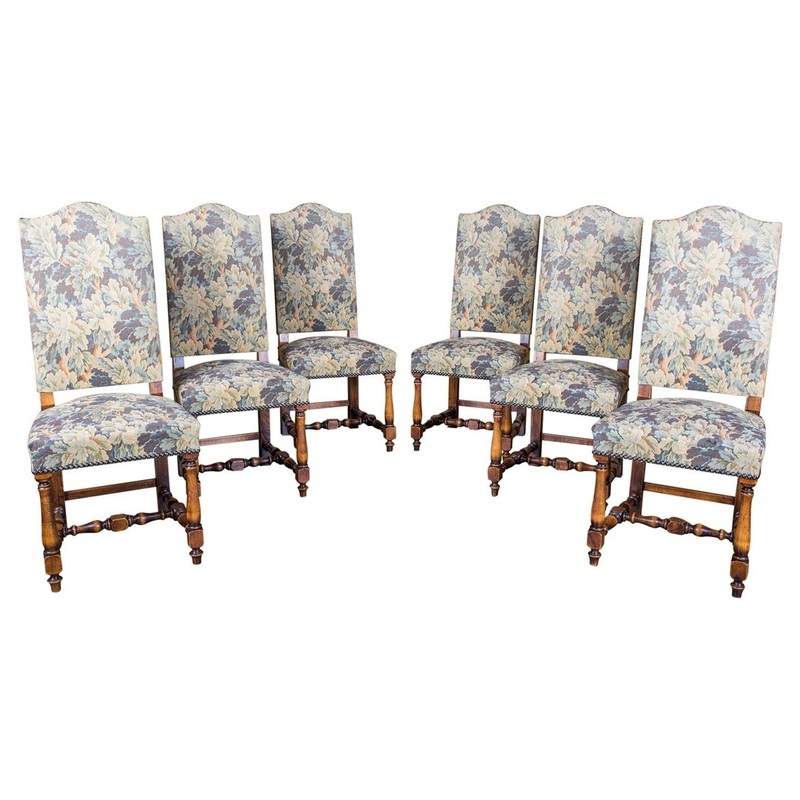 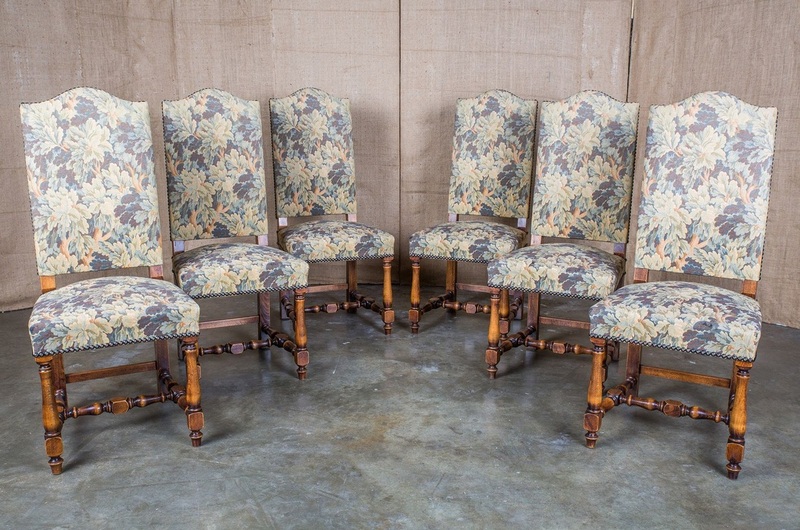 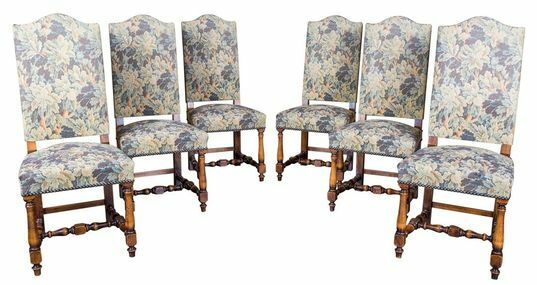 French Louis XIII style dining chairs, set of 6. Circa 1930s. 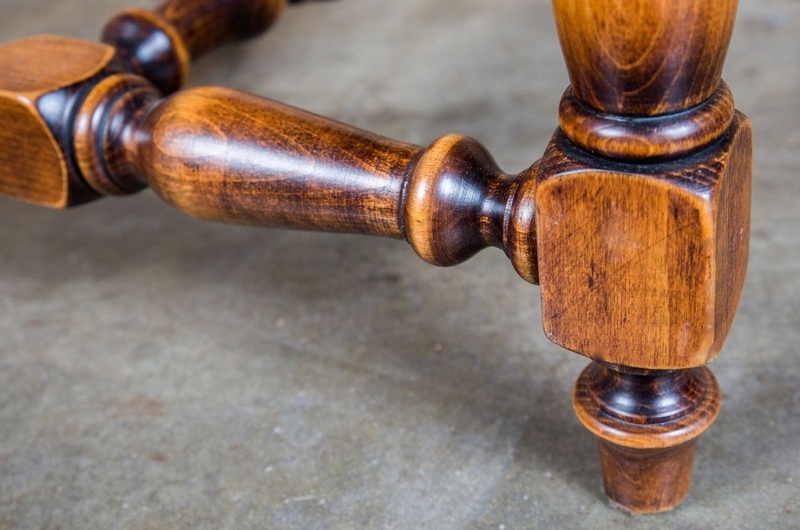 Solid, carved walnut featuring turned front legs and stretchers with straight back legs. 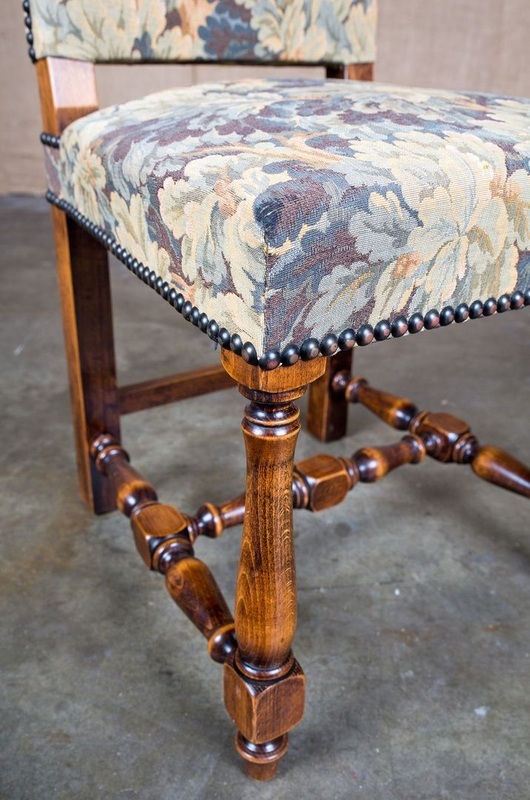 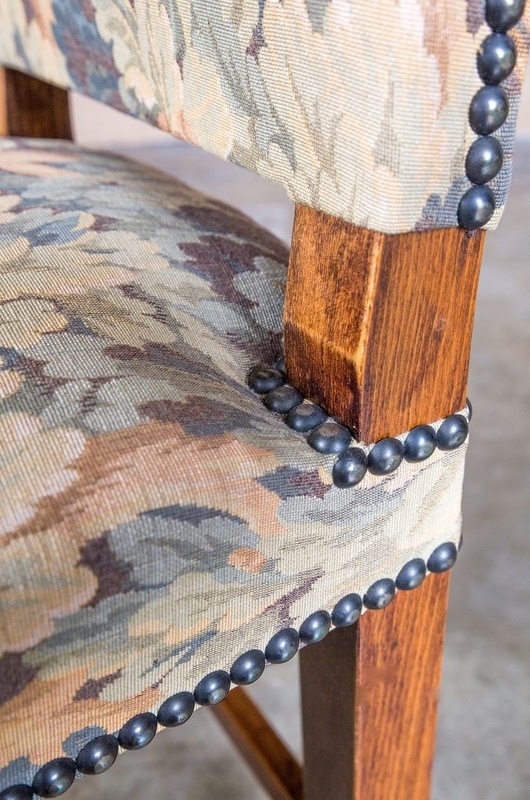 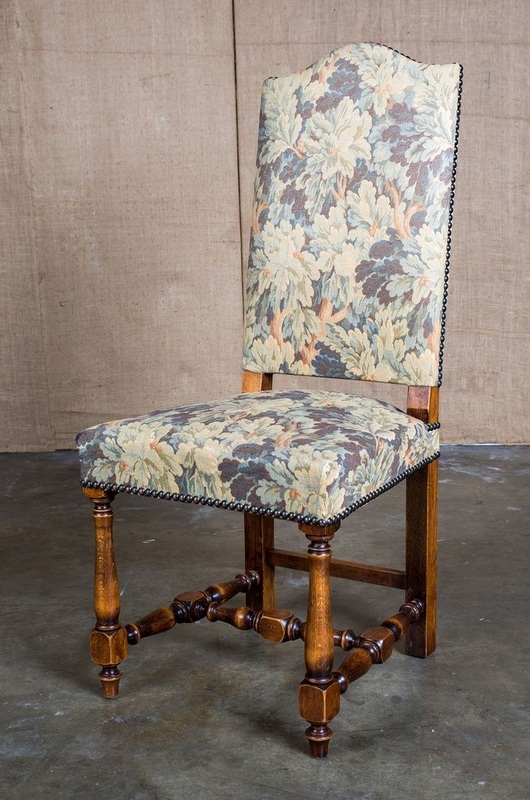 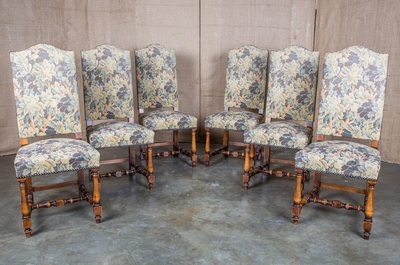 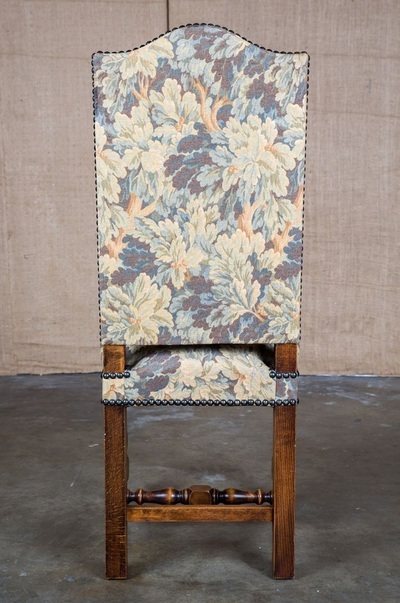 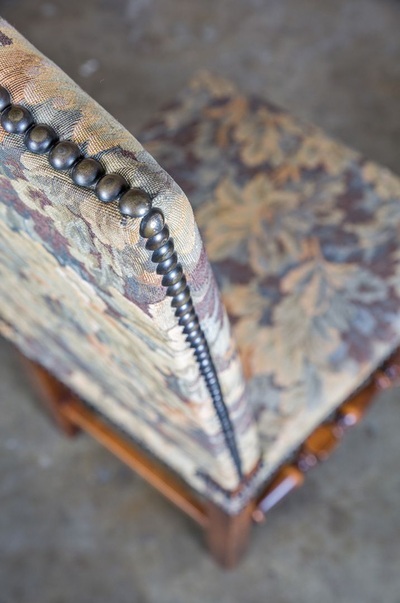 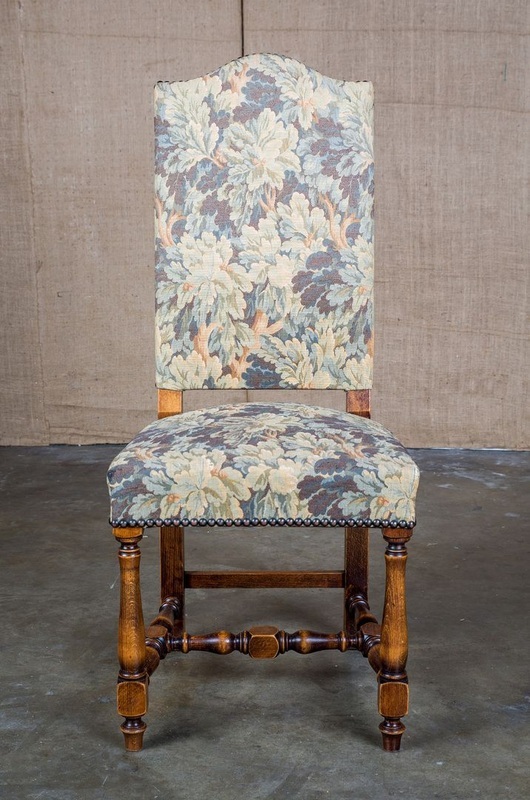 Each with chapeau de gendarme back and upholstered with nailhead trim. 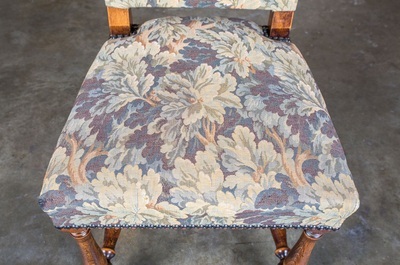 back h - 44" seat h - 19.5"